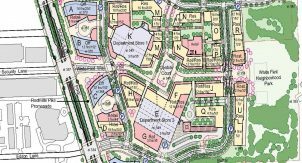 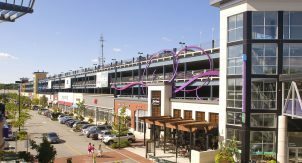 The Fenlon Square Garage provides a new parking experience to Easton Town Center. 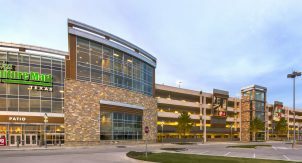 The garage layout incorporates a 60’x60′ grid that allows for striping in different directions depending on the floor and provides maximum openness and visibility to the patron. 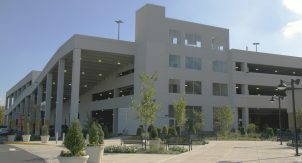 The garage floors are connected with a cascading express ramp minimizing the time to exit the facility. 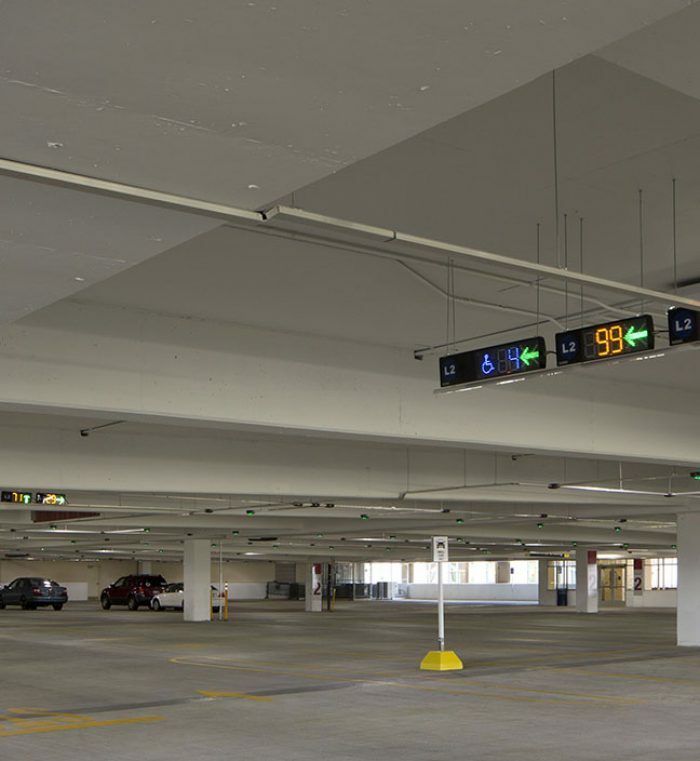 A parking availability system incorporating individual space counting will guide users to open spaces. 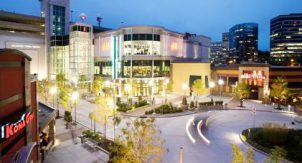 Space availability displays will also be provided at the entries and at each level on the express ramp. 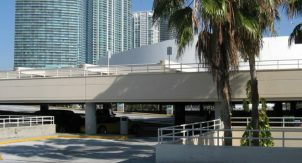 A covering over the roof level express ramp will keep out the elements. 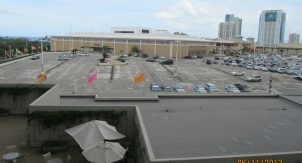 The west end of the garage will have retail space utilized on the lower two floors. 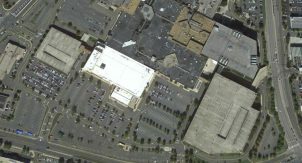 The second floor above the retail was omitted to provide the clearances required for retail. 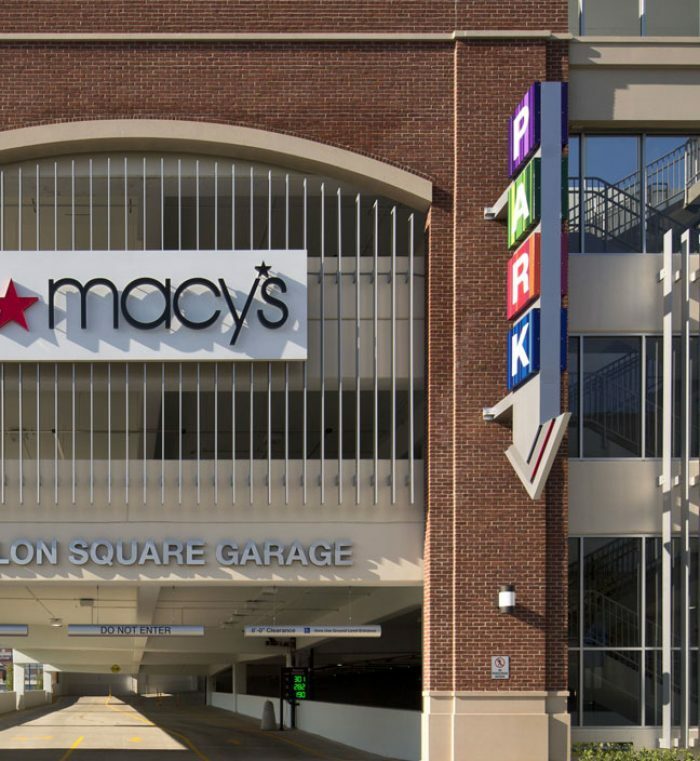 The garage façade blends in well with the Town Center and a pedestrian bridge connects to the adjacent Macy’s. 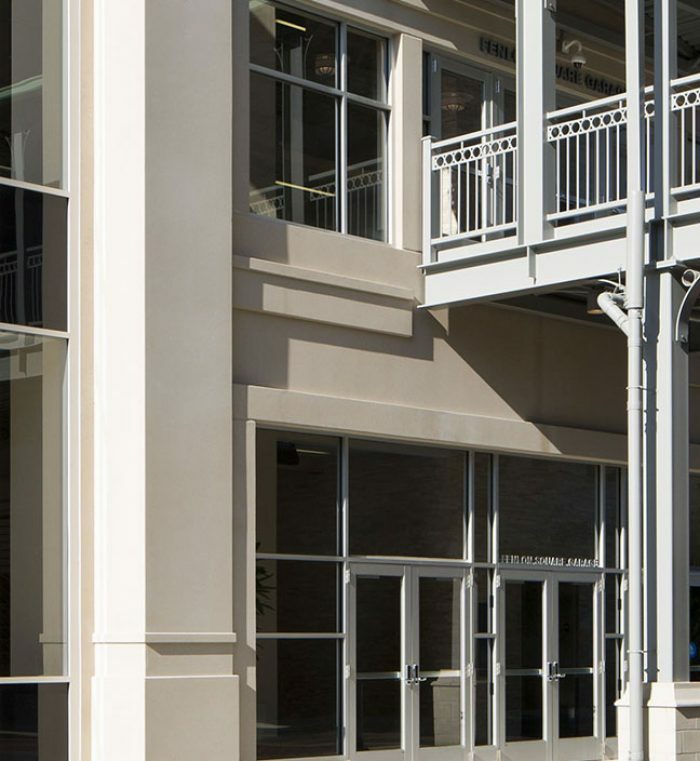 The interior treatments of the stair/elevator towers, LED lighting, and painted ceilings provide the finishing touch. 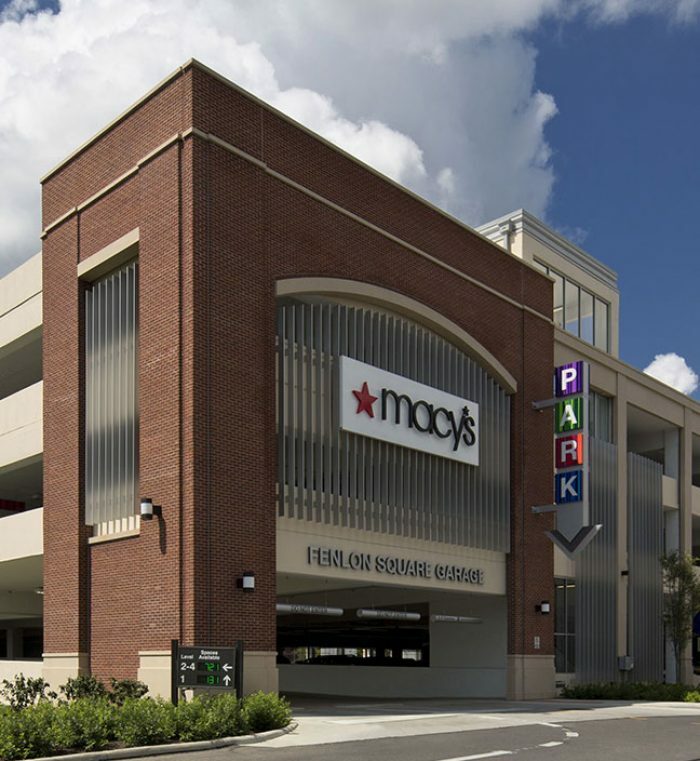 This durable structure resides above a retention basement to allow for the full development of other parcels at the Town Center.